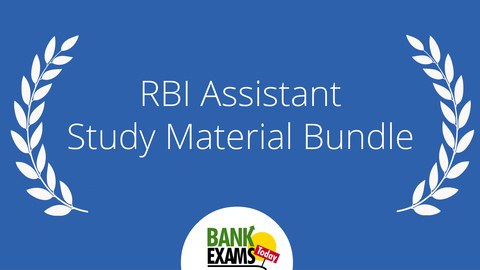 Today I am providing comprehensive Study Material Bundle for RBI Assistant Exam. Special GK Digest for RBI assistant will be provided 10 days before the exam. sir, i bought ur sbi prelims bundle...is that enough except computer? sir, i purchased this bundle and not satisfied at all..bcoz sbi po prelims and this bundle both are exactly same in terms of english , RA and QA only computer was not included in sbi po prelims bundle..that's not fair sir ?? we can buy ur computer ebook just for Rs 40 only....r u charging f199 only for only computer ebook..